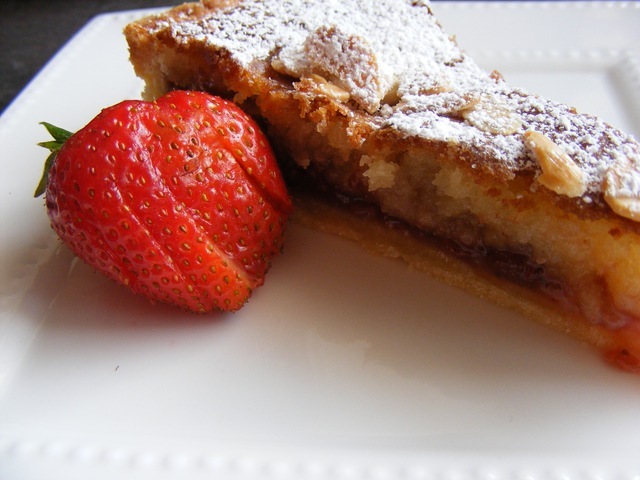 Home » Daring Bakers – Bakewell Tart! 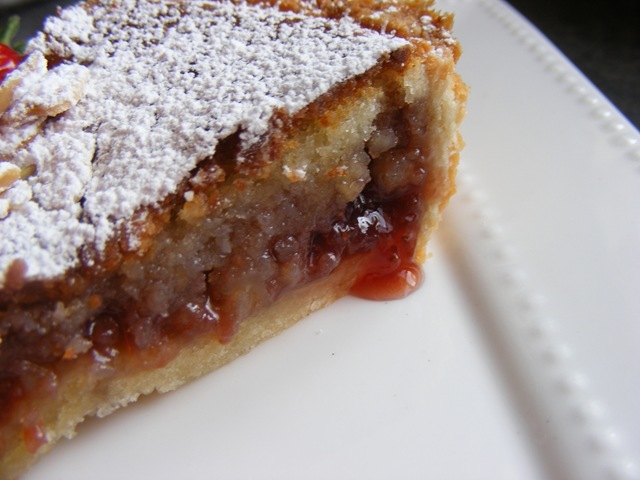 Daring Bakers – Bakewell Tart! 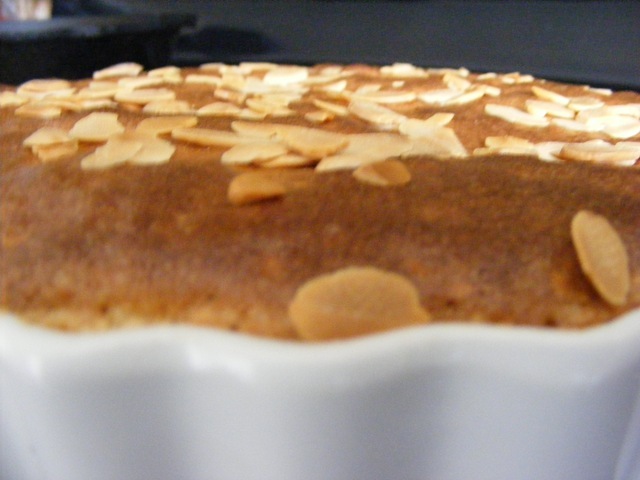 I’d never made a bakewell tart before. I had heard of it from Heston Blumenthal and Jamie Oliver but never made one or really even thought about making one. 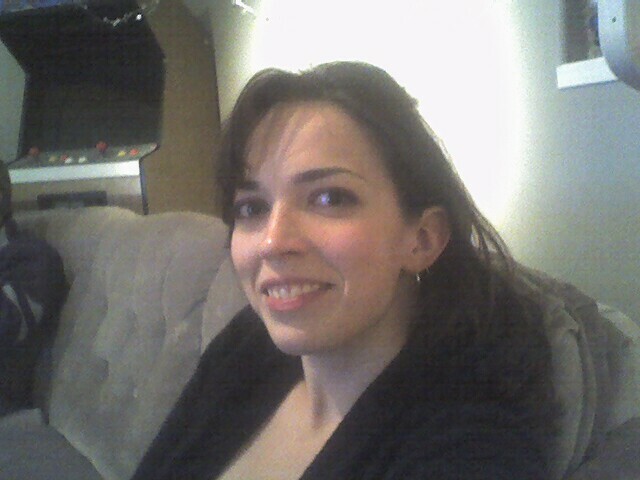 I’d have to say though it was a great success! I made it for Father’s day dinner and boy did my Father in-law-love it! He was thrilled with it and even continued to finish it off when he came over to help Tim with the garage fir the next two days! I’d make this again although I think I would try different jams. Nothing wrong with homemade strawberry but just to jazz it up a little I might try marmalade or blueberry just for something different. Great challenge! • Rough Durations: Please see individual recipe elements to see how much time you’ll need. You may pull it together in more time or less—it all depends upon your kitchen’s pace. 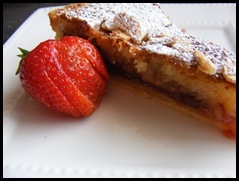 You can complete the tart in an afternoon, or break it up into a couple of days by making the pastry one day in advance. • Measurements: These recipes were developed using weight and not volume metrics, so for better results, pull out your scales. We’ve done our best with the Metric to Imperial conversions. • A giant tart, medium tarts or little tartlettes: We’ll leave that to you. Yes, it’s a pie pastry. Don’t look at us like that. It’s sweet and tender and it’s not scary…and we’re encouraging you to do it by hand and put the food processor away (but if you really want to pull out the gadget, go ahead). 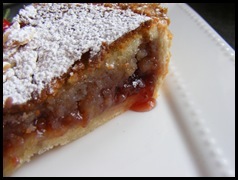 We love onomatopoeia of frangipane: it’s rich, sweet and feels slightly luxurious, and can be used in several confections. We know several amongst us are rather jammy with making their own jams and preserves. Go ahead get wild and creative or simply showcase whatever’s local and in season. If you haven’t jammed before and want some hints or recipes, take a look at Bernardin’s homecanning.ca. If you want to just make some jam for this challenge and not go through sterilising jars and snap lids, you can try a pan jam, similar to Jasmine’s Blackberry Pan Jam. If you do use homemade jam, please include your recipe or the link to the one you used in your post. 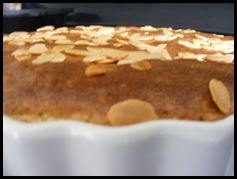 • If you cannot have nuts, you can try substituting Victoria sponge for the frangipane. It's a pretty popular popular cake, so you shouldn't have any troubles finding one in one of your cookbooks or through a Google search. That said, our dear Natalie at Gluten a Go Go has sourced some recipes and linked to them in the related alt.db thread. • You can use whichever jam you wish, but if you choose something with a lot of seeds, such as raspberry or blackberry, you should sieve them out. • The jam quantity can be anywhere from 60ml (1/4 cup) to 250ml (1cup), depending upon how “damp” and strongly flavoured your preserves are. I made it with the lesser quantity of home made strawberry jam, while Annemarie made it with the greater quantity of cherry jam; we both had fabulous results. If in doubt, just split the difference and spread 150ml (2/3cup) on the crust. • The excess shortcrust can be rolled out and cut into cookie-shapes (heck, it’s pretty darned close to a shortbread dough). • I make this using vanilla salt and vanilla sugar. • Add another five minutes or more if you're grinding your own almonds or if you're mixing by hand (Heaven help you). Glad you enjoyed the tart.